Rumson-Fair Haven Bank and Trust purchased a 3,600 sq.ft. condominium space in a new multi-use building in a redeveloping commercial area of Ashbury Park, NJ. Following conversations with town officials and businesspeople regarding the area's changing demographics, EI Associates' interior designer recommended a departure from the bank's "traditional" image to best appeal to the potential target customer. 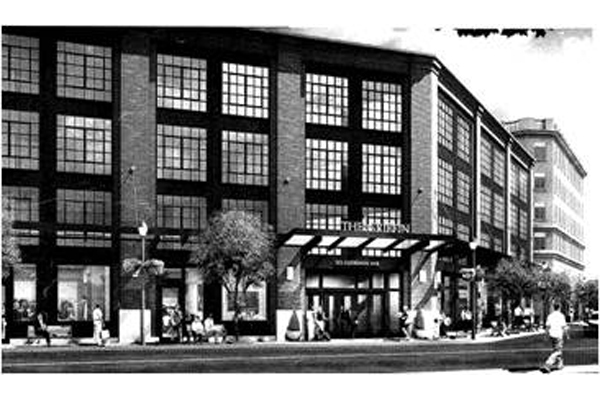 EI Associates' Design Team developed an operational floor plan and corresponding interior design recommendations that optimized the space and complemented the branch's unique location as well as the on-going redevelopment image of the area. 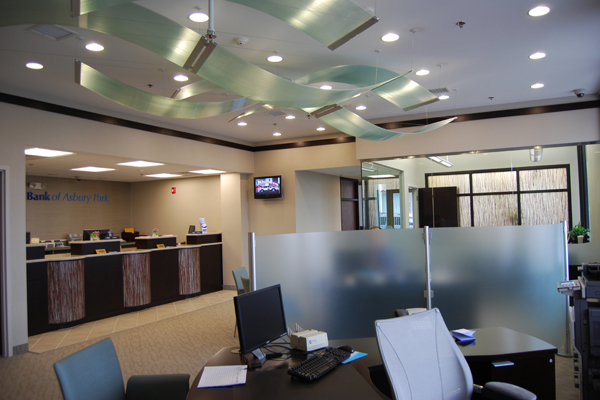 Taking the bank's "seaside" location into consideration, elements of the design focused on the abundance of natural light flowing into the space. Correspondingly, a subtle yet elegant nautical interior design theme was implemented for the space. 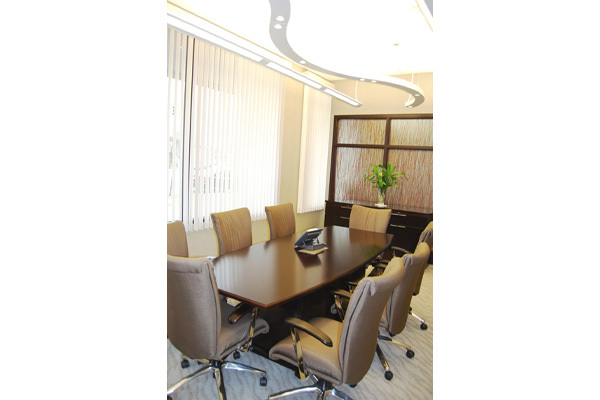 An aqua curved ceiling and etched glass were used to convey the suggestion of sky, sand and waves. Rich, deep-toned furniture and millwork completed the design.